The Swiss cargo universal deluxe canoe carrier kit is the perfect solution for bringing your favorite canoe to the lake. 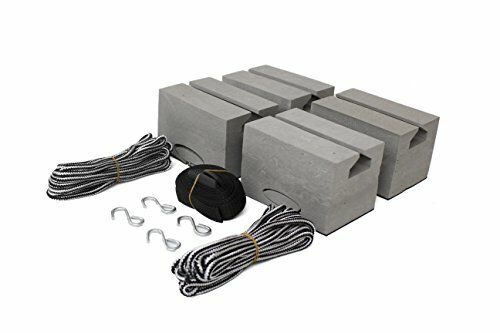 Four non-skid foam blocks and an extra-long strap with rubber-coated buckle protect your vehicle and canoe as it fits safely on the top cross bars or directly on your roof. The kit is quick to install and can be stored in the reusable mesh tote bag. Securely transport your canoe with the Swiss cargo canoe carrier kit.. If you have any questions about this product by Swiss Cargo, contact us by completing and submitting the form below. If you are looking for a specif part number, please include it with your message.